The site is 0.4 ha of wet woodland south of Cross - grid reference ST 416547. The reserve together with the adjacent rhynes (Stocks Rhyne and a smaller ditch on the eastern boundary) is a County Wildlife Site. 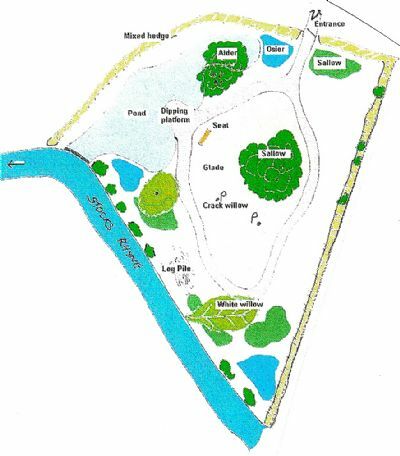 The pond was created in 1999/2000 and is fed by Cross Springs (up to 2 million gallons per day). 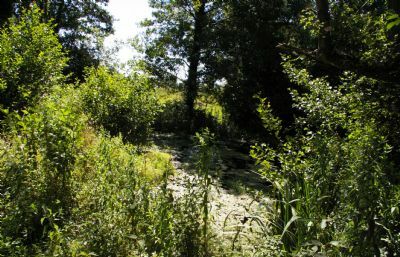 The overflow runs via a dam into Stocks Rhyne. Mallard, moorhens, kingfishers, sticklebacks and 20 - 25 species of invertebrates including dragon flies have been seen. The central area contains a large goat willow and two crack willow pollards. The glade contains tall herbs, such as hemp agrimony, hogweed and rose bay willow herb, with reed sweet grass. The area is being kept open by 'rough-cutting' in the autumn, to encourage butterflies, moths and other nectar feeding insects. Without cutting alder carr would dominate. Along Stock Rhyne are a number of large alder trees, white willows and an ash. These trees are home to spotted woodpecker and bats, The alders and ash are being coppiced to prolong the life of the trees, help maintain stability of the rhyne bank and allow more light into the pond and central area. Between the rhyne bank and the path are areas of sallow and osier, and a large woodpile. These provide habitat for invertebrates, small mammals and small birds. Along the eastern, northern and western boundaries are mixed hedges, with 40 to 50% hawthorn, blackthorn, hazel guelder rose and dog wood. We hope to promote maximum diversity of wildlife with a minimum of interference. Please respect nature. No dogs, no litter, no bicycles.